Seeped in vibrant colors, timeless elegance, and ancient tradition, few cultures are as well expressed by the splendor of their unions as those with Indian heritage. Following years of shooting Indian wedding films, the team at New Jersey Videography has discovered that these are not merely ceremonies. Indian wedding videographers will inspire brides with fabulous ideas and creative details and also to encourage a lot of smiles! Indian wedding cinematography is ideally suited to capture the affirmations of life in Indian weddings. Indian wedding videographers recognize the unsurpassed beauty of Indian culture, values and beliefs. Indian marriages mark the joining of two into one — and it is time to celebrate! Indian weddings are an art form wholly unique from any other celebration. The richness and texture of each event stems from the splendor of the rituals and observances. When shaped by you, your families, and your loved ones, these events grow into magnificent, epic affairs that reflect your love and mark the gateway to your future. Pleasantdale Chateau This is Wedding Video Highlights created for Avery & Sid, whose Ceremony and Reception were held at Pleasantdale Chateau in West Orange, NJ. The video was captured by 2 wedding videographers. Asmi & John Wedding Highlights Wedding Video Highlights for Asmi & John. Branches Catering, West Long Branch, NJ. Produced by New Jersey Videography. Tuyen & Chethan Wedding Highlights Wedding Video Highlights for Tuyen & Chethan. Florentine Gardens, River Vale, NJ. Produced by New Jersey Videography. Angelika & Mehul - Royal Alberts Palace Wedding This is Wedding Video Highlights created for Angelika & Mehul, whose Ceremony and Reception were held at Royal Alberts Palace in Edison, NJ. The video was captured by 2 wedding videographers. This video was captured and edited by New Jersey leading Wedding Photography & Wedding Cinematography Studio – New Jersey Videography. These memories are too precious to be entrusted to the heart and mind alone. Whether you’re planning a lengthy traditional Indian Wedding celebration spread over several days or merely want to document the main event, New Jersey Videography offers a variety of price packages to suit every need. Contact us today for an estimate. You and your soulmate can give a gift to yourselves that your whole family will enjoy: the most important time of your lives memorialized by professional and creative Indian wedding videographers. Because New Jersey Videography specializes in filming these events, they possess an inimitable understanding of your specific needs, and they’re knowledgeable about how to best serve them. Turn to these Indian wedding videographers to best capture the emotion and spirit of your momentous occasion. Their award-winning New Jersey cinematography studio has mastered the art of capturing beauty and story by balancing talent with technique, delivering just the right mix of drama and joy for your highly personalized Indian wedding film. Indian customs have developed over the course of centuries. They’ve withstood the test of time. As a result, they’re breathtaking and extravagant. Since these time-honored traditions have endured, they require nothing less than absolute respect. The Indian wedding videographers at New Jersey Videography have the knowledge, skill and experience to honor your union, your family and your culture. If a picture is worth a thousand words, then browse this page to enjoy the breathtaking images that many satisfied customers were more than happy to share with you. New Jersey Videography hopes that you see the quality with which these celebrations were depicted. That same attention to detail is available to you — enduring, beautiful memories that endure the test of time. Our NJ photographers are best in region, they pull elements out of everyday surroundings and mix them to create a visionary story that tugs at the heart. They capture your unique personality, chemistry and magic during your big day through camera eye. Our indian wedding videographers and photographers are members of the best rated group of NJ wedding photographers. 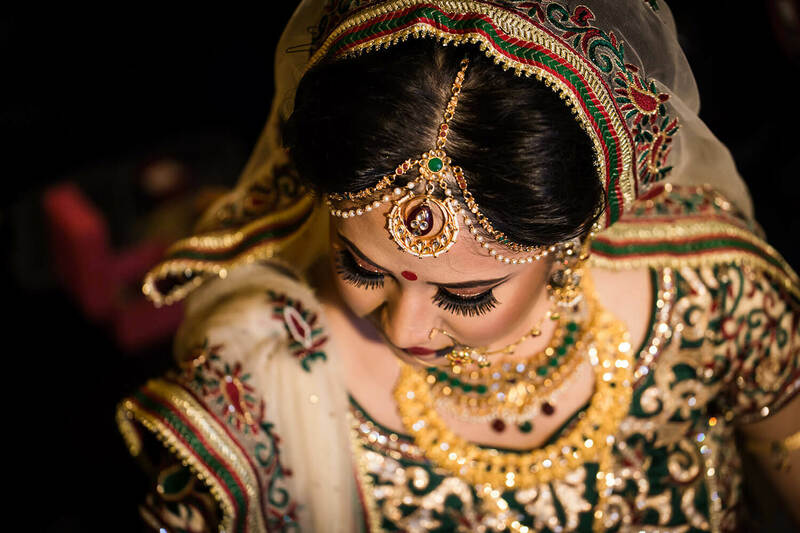 Do you have questions about Indian Wedding Videography or Photography? Would you like to schedule an appointment with nationally recognized, best rated NJ Indian videographers, wedding photographers in NJ and NYC? Please contact our event photography and Indian cinematography experts for a FREE consultation. During your initial consultation we offer a wide variety of photography and videography samples including Indian Wedding Videos, Bar Mitzvah, Sweet 16, Anniversary Video and discuss pricing options. We offer photo and video package discounts.